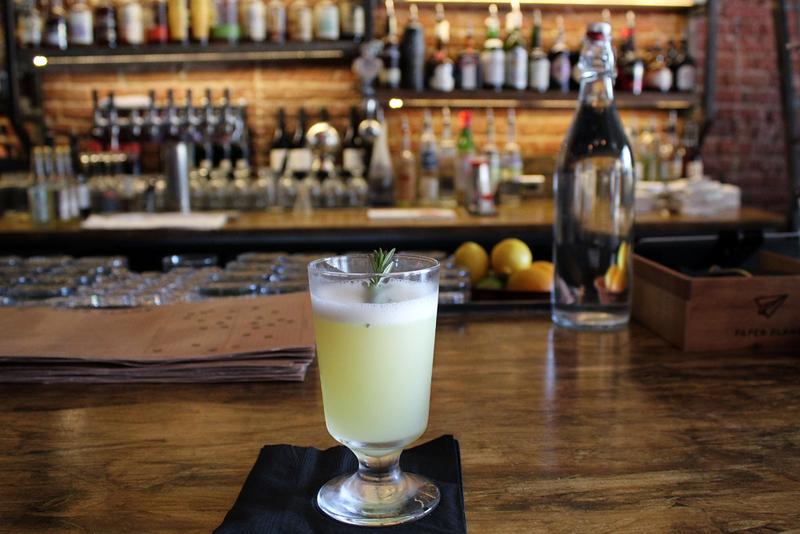 The restaurant scene is roaring back to life in the South Bay and a common theme among them is restaurants featuring a unique bar program paired to a dining menu equal in creativity. 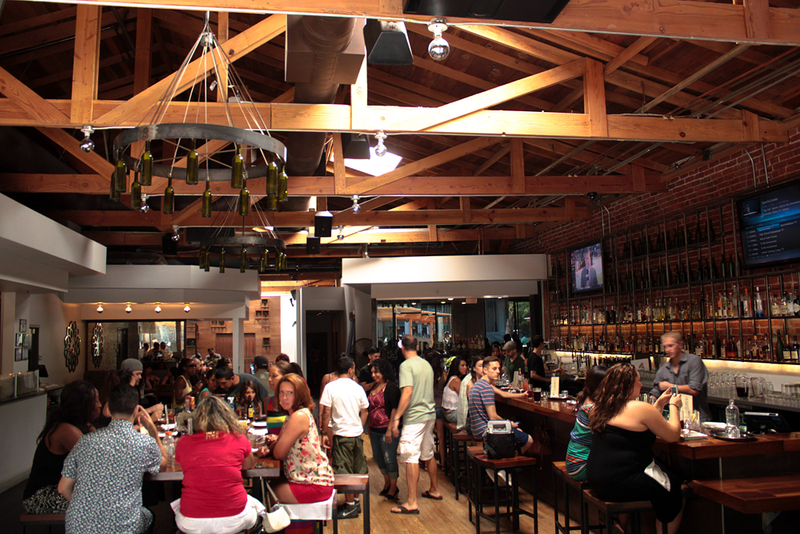 While the concept of bringing together your favorite bar with gourmet bar bites is no new feat, here are 13 top-notch gastropubs in the South Bay. Transformed from a cozy wine and dessert bar, 55 South now serves craft cocktails and local brews alongside a menu of modern pub bites. Using small-batch spirits, old favorites such as the Moscow Mule get the craft cocktail treatment. 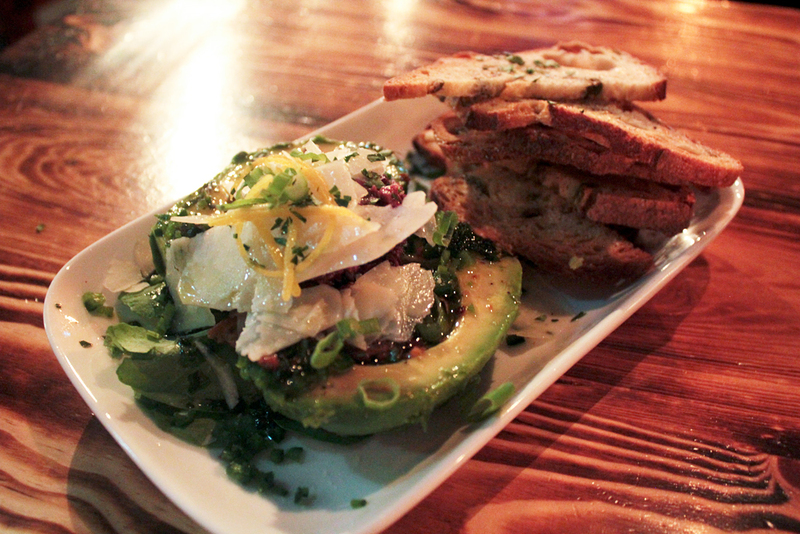 A newly added menu of small plates is served Tuesday through Saturday nights. 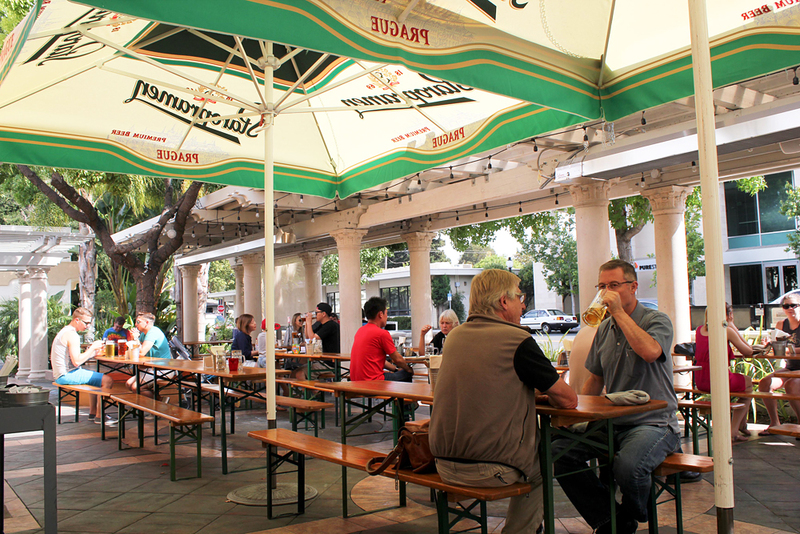 Bierhaus in Mountain View brings the feel of a German beer garden to the South Bay. 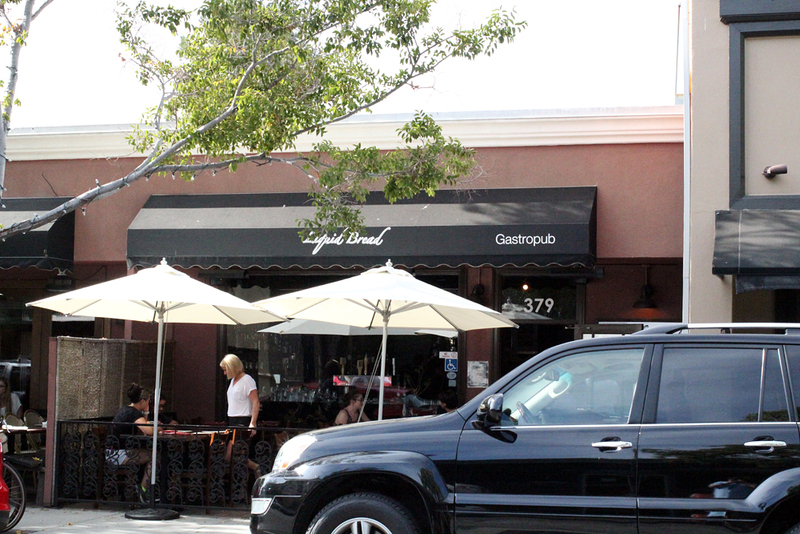 The gastropub offers beers from Germany and Europe as well as a select few craft beers from the States. 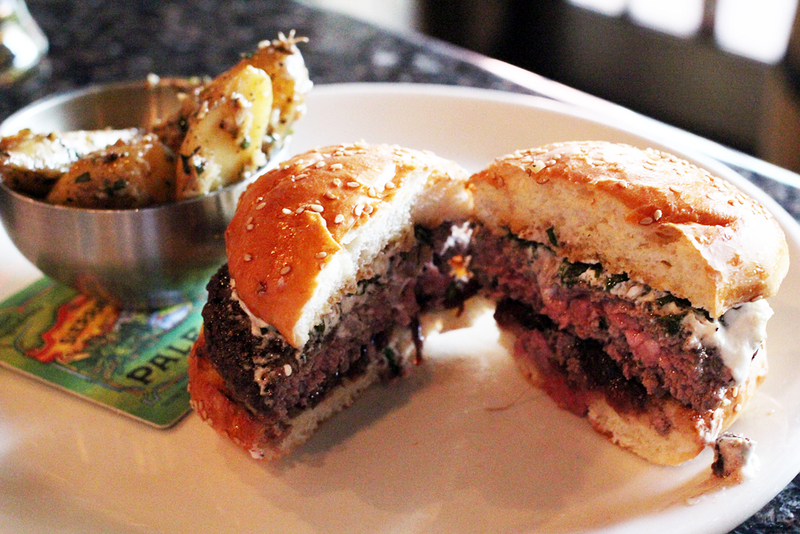 Grass-fed beef burgers and small plates such as the spaetzle with mushrooms and ham are hearty pairings made to enjoy alongside your litter of beer in the large outdoor beer garden. At Liquid Bread, executive chef, John Burke pairs his experience in fine dining with his appreciation for beer varieties at this Campbell gastropub. While there are no table clothes in sight, the food menu reads gourmet with a beer selection to impress any beer lover. Perfect for hoppy ale, the rich burger with béarnaise sauce and herbed potatoes is a crowd pleaser as is the locally sourced chicken and waffles. 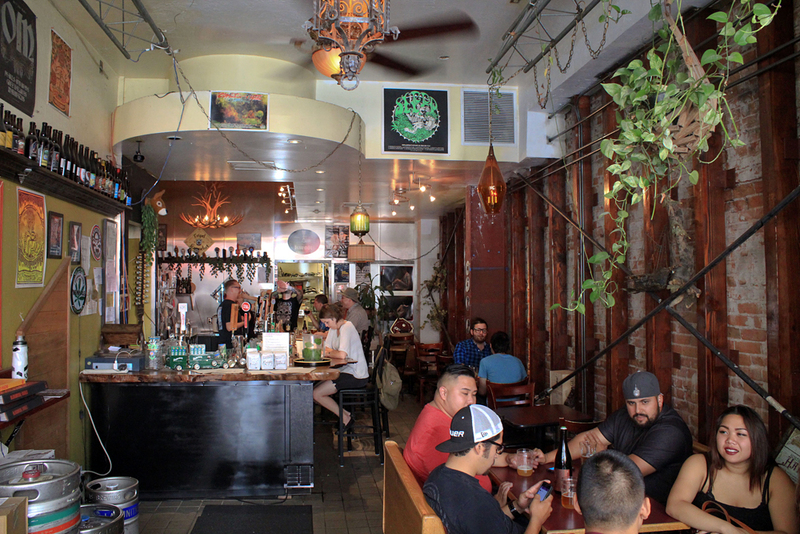 With more than twenty taps and a fridge of bottles (also available to go) the beer selection ranges from Bay Area breweries, popular domestic craft beers and European imports. 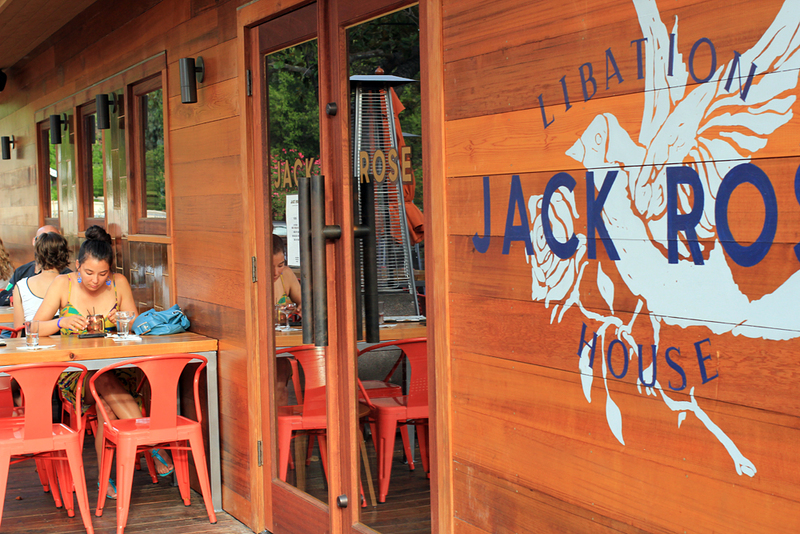 Tucked away from the main drag of Los Gatos, Jack Rose Libation House pays homage to John Steinbeck (whose former residence butts up against the bars property) with a unique literary themed décor. 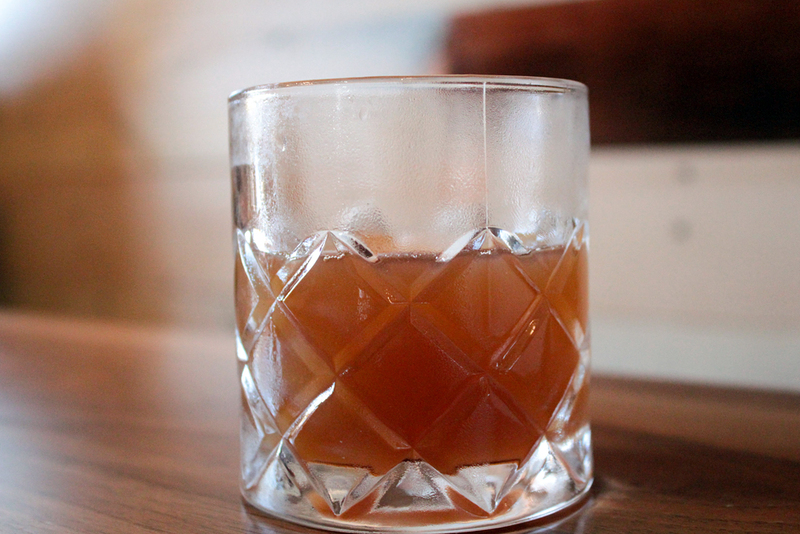 In honor of the author’s favorite cocktail, the house specialty is the Jack Rose, a refreshing concoction of Laird’s Applejack, house made grenadine, lime juice and simple syrup. The staff makes syrups, bitters and shrubs in house for their cocktail creations. 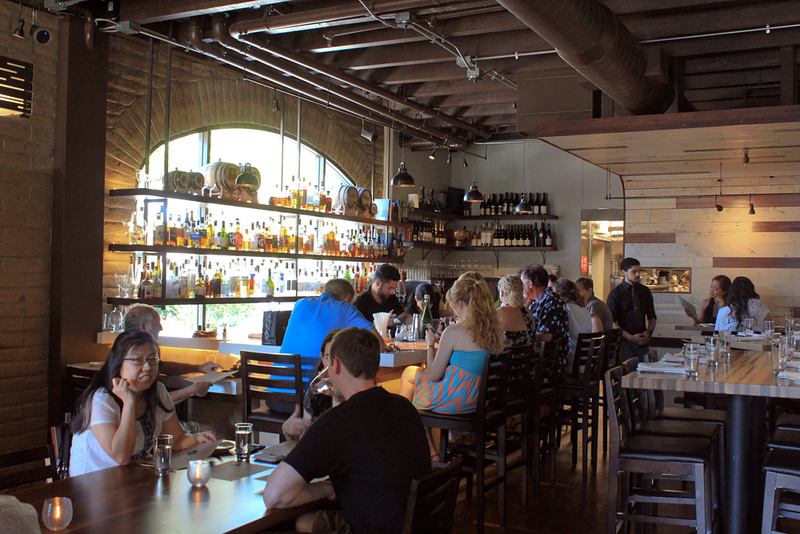 For bar bites Jack Rose serves a tasty menu of cheese and charcuterie boards, small plates and pizzas. 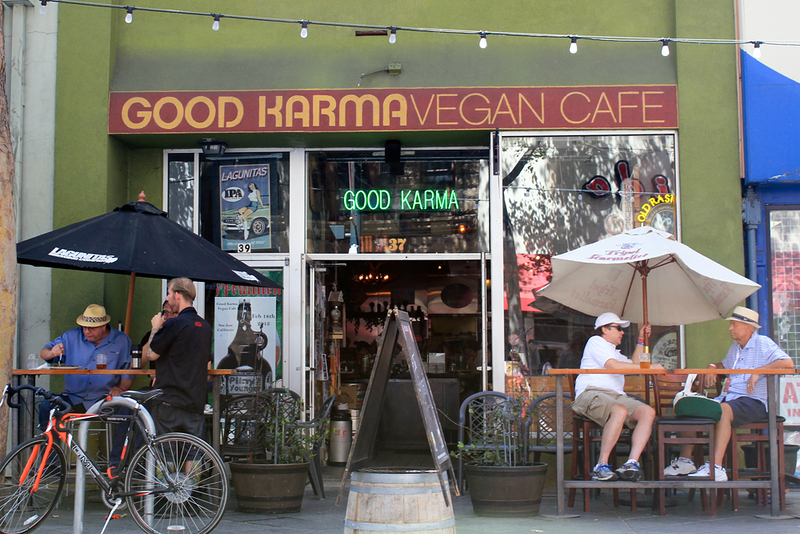 Good Karma serves an entirely vegan menu that can be enjoyed by anyone who likes their food with big flavor and wholesome ingredients — regardless of your eating preferences. 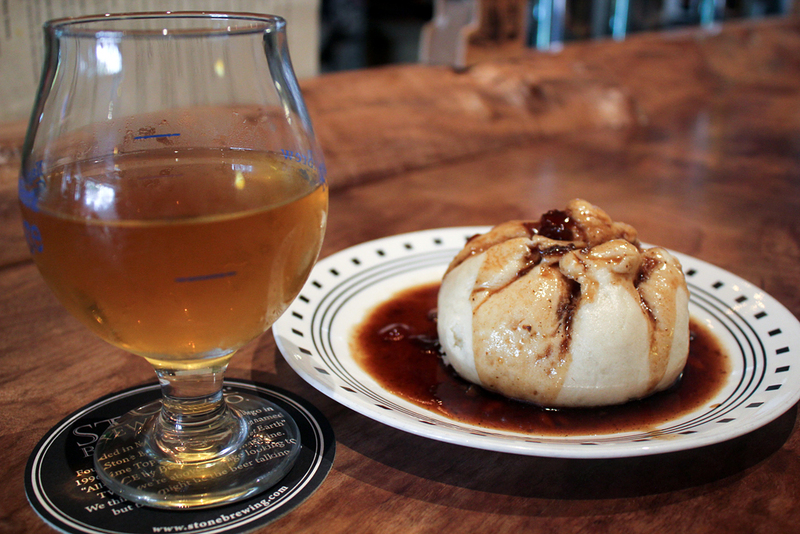 Dishes such as the jerk tofu and vegan bao Buddha bun pair deliciously to Good Karma’s impressive selection of craft beers on tap. 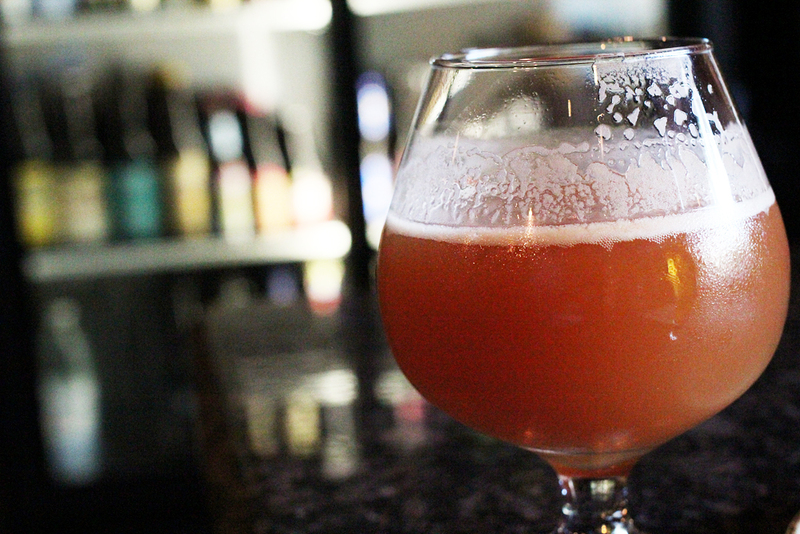 With the occasional exceptions for a few imports, the majority of the taps are devoted to local microbreweries. A fridge holds bottled beer available to be enjoyed there or to go. The dining menu at Lexington House is plated and served in the style of fine New American dining. 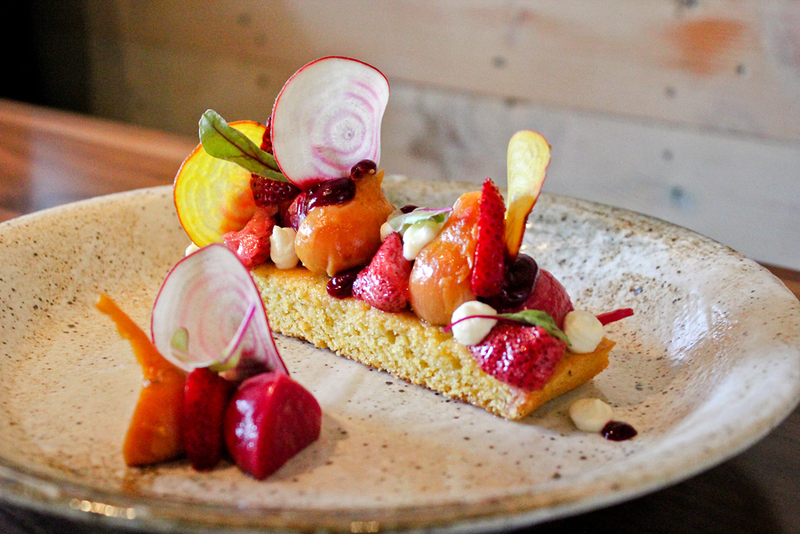 Not to be missed dishes include the artfully plated, textures of beet, with strawberries and honey mascarpone, as well as the Maitake mushrooms, with creamy burrata and toasted crumbs. The restaurant’s bar program features curious cocktail creations made with small batch spirits, craft beer and limited-production wine. 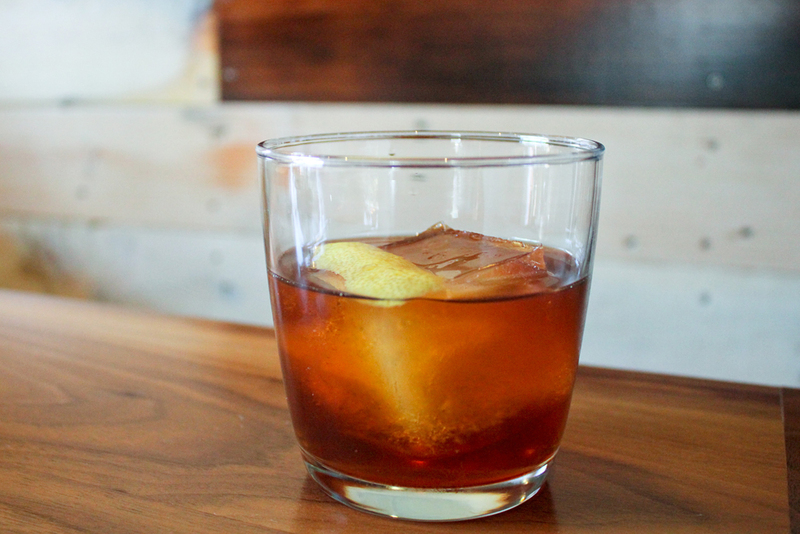 Co-founder and bartender, Jimmy Marino develops many of the cocktails including the novel, yet enjoyable Coffee & Cigarettes. It may not seem like an obvious marriage but this gastropub has enjoyed much success with their menu of pastrami sandwiches and menu of Belgian beers. 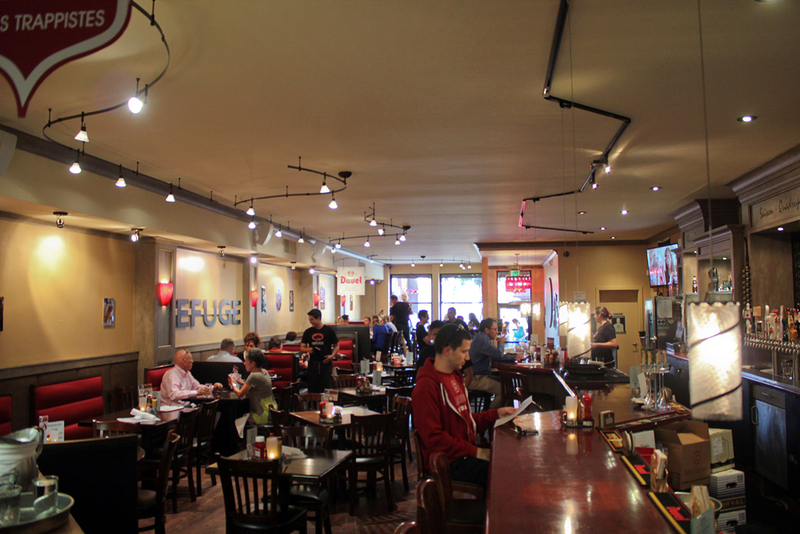 The Refuge has a rotating menu of twenty-four beers on tap. 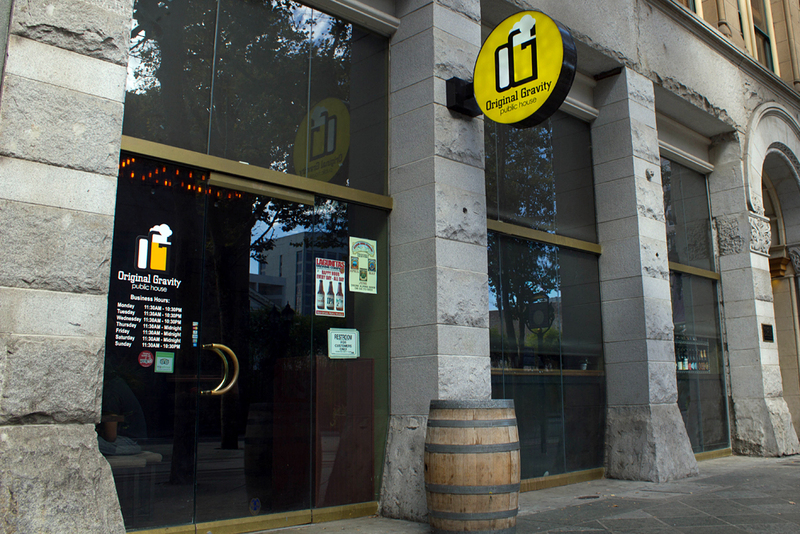 The selections are predominately Belgian varieties but domestic craft breweries are offered as well. An extensive menu of bottled beer is available as well. 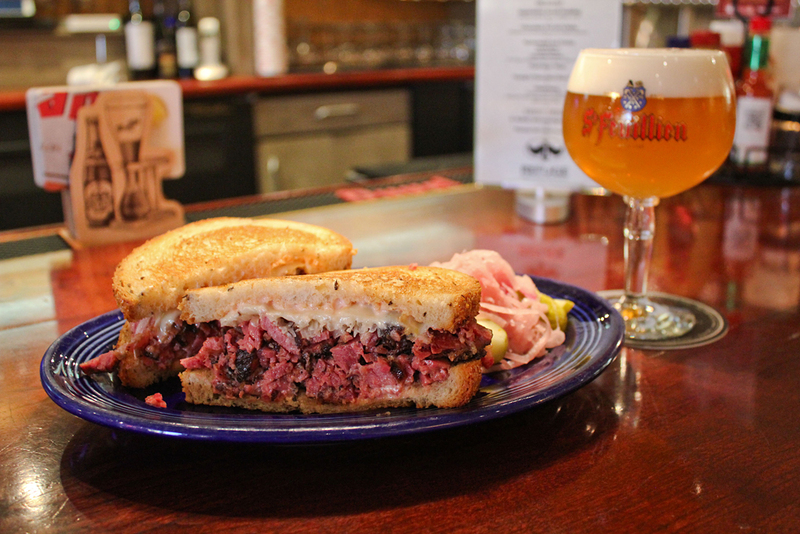 To soak up the pungent Belgian ales, Refuge’s dining menu features hearty burgers, cheese steaks and the signature pastrami reuben. 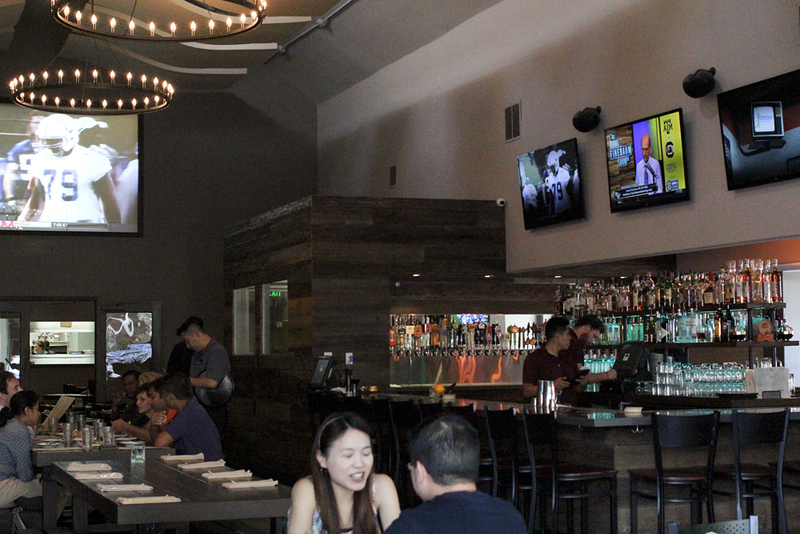 Far-gone from being hot and new, this San Jose veteran restaurant has enjoyed a continued following for its German food, beer and charm. 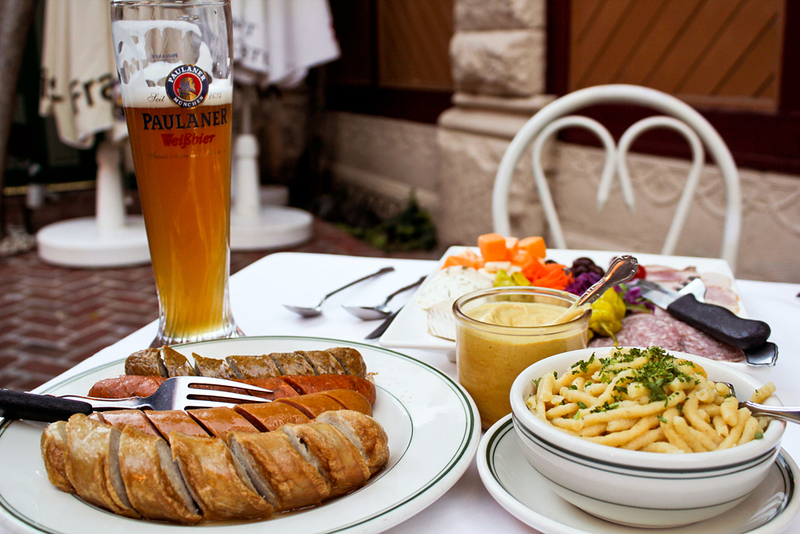 Teske’s Germania pours German beers by the liter and half liter alongside a menu of hearty German comfort food. 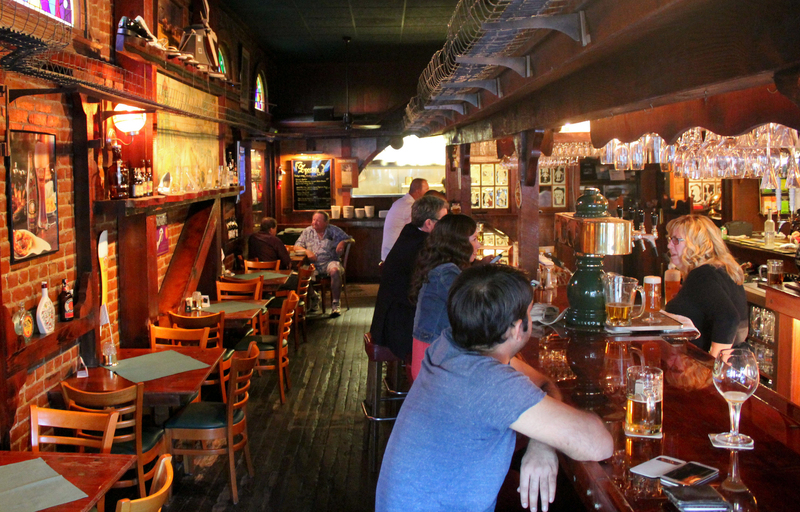 In addition to beer, Teske’s serves a menu of traditional German schnapps. 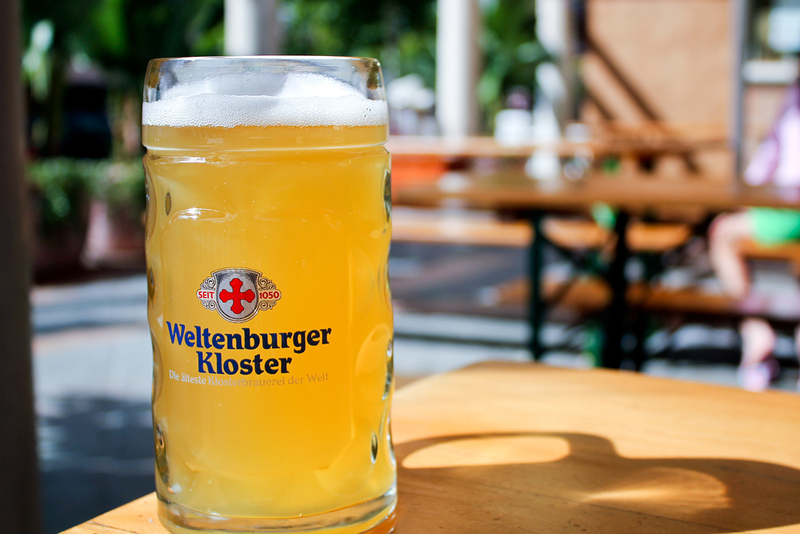 The real festivity kicks off during Oktoberfest celebrations with live music and dancing in outdoor beer garden. 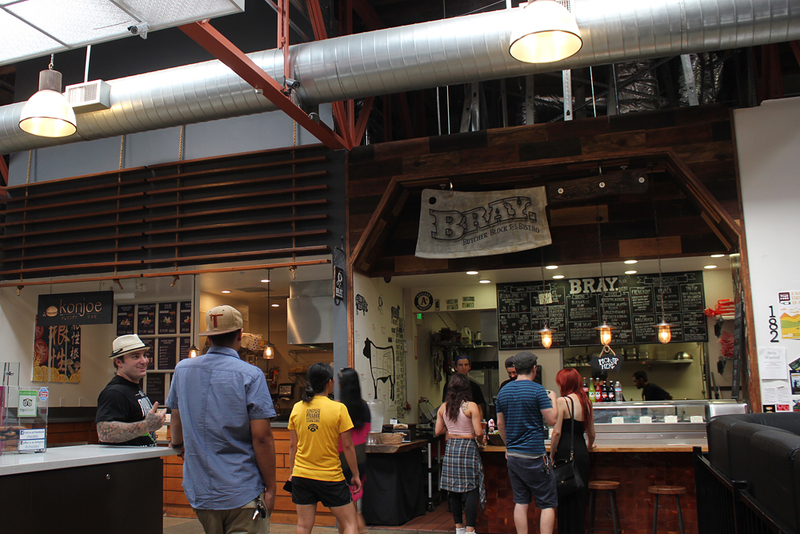 While food may not be directly available here, Market Beer Company calls San Pedro Square Market home, where a multitude of dining options are just a step away. After making up your mind on where to eat, then comes the harder option: selecting a beer that fits your taste from the several refrigerator cases. 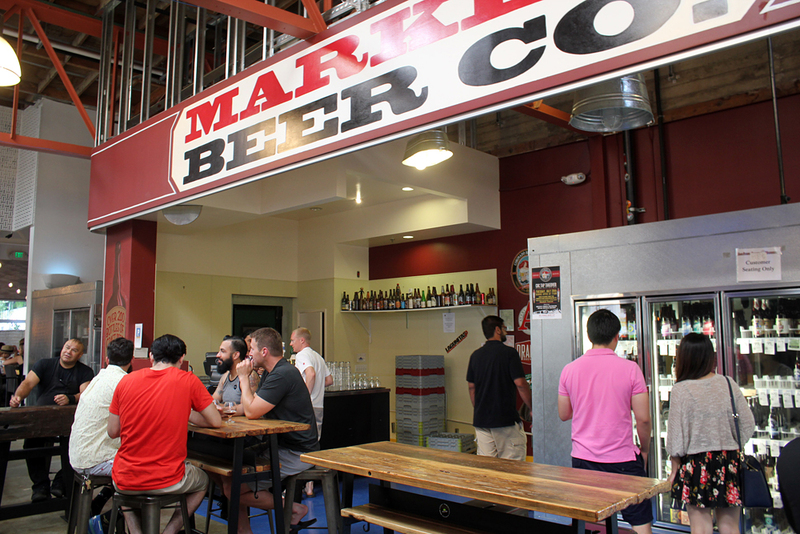 Market Beer Company carries a hearty collection of bottled beers from craft breweries around the country as well as imported selections. 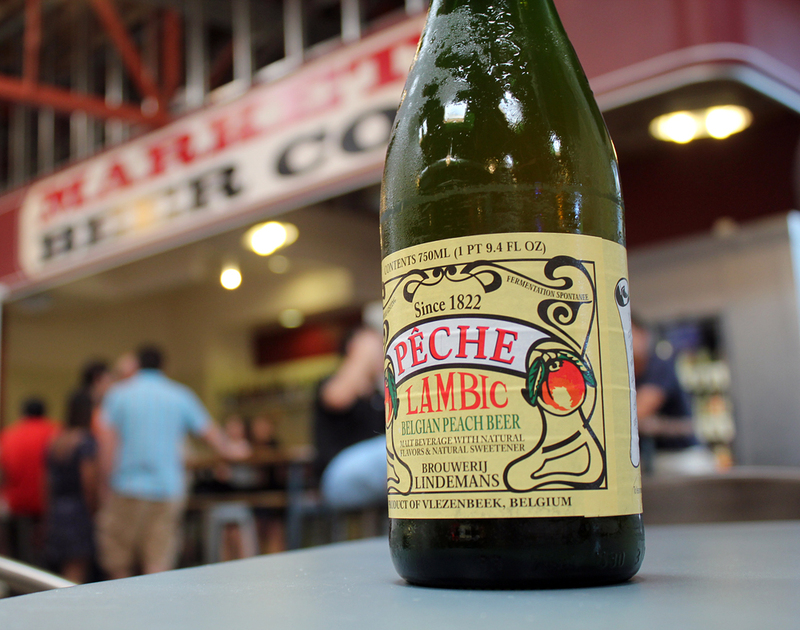 Bottles are available for take away or to be enjoyed at San Pedro Square Market. 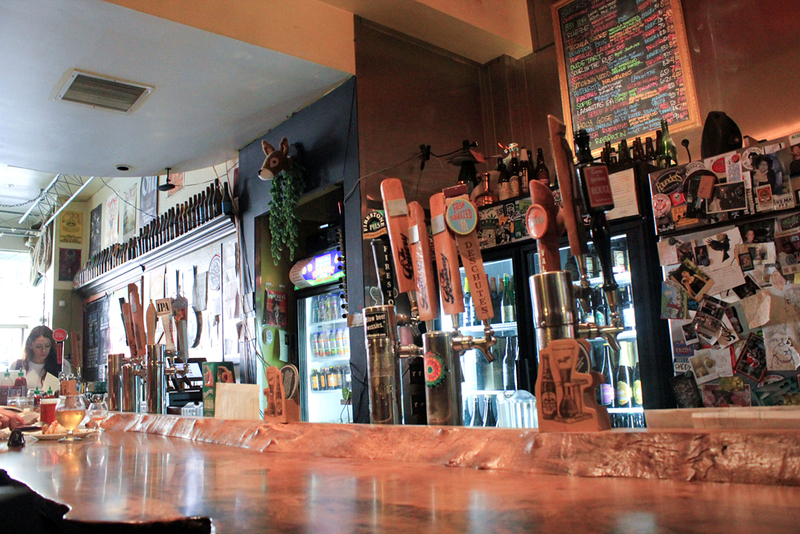 Additionally, be on the lookout for special tap takeover events with various local breweries. 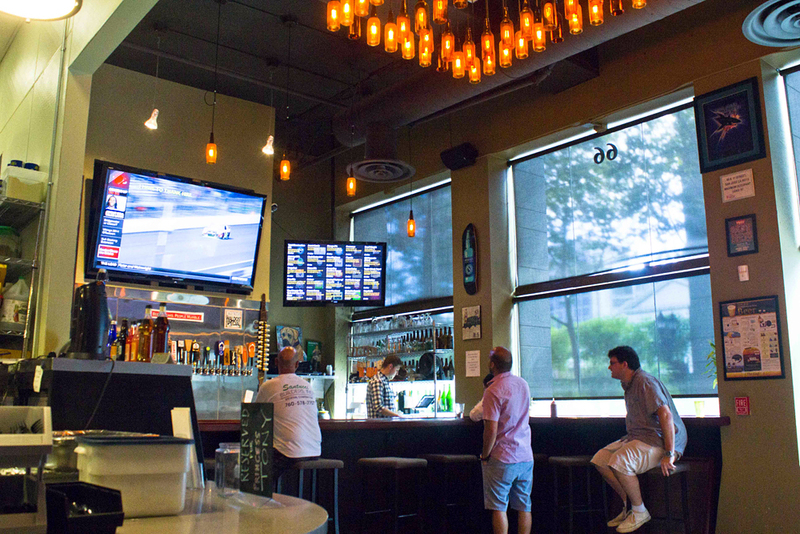 Having recently celebrated their second anniversary, Original Gravity Public House features more than twenty-five taps pouring a rotating menu of beer from craft breweries around the country. * A newly opened second bar keeps up with the weekend crowds, while a backyard patio is perfect for enjoying a cold beer on a warm day. 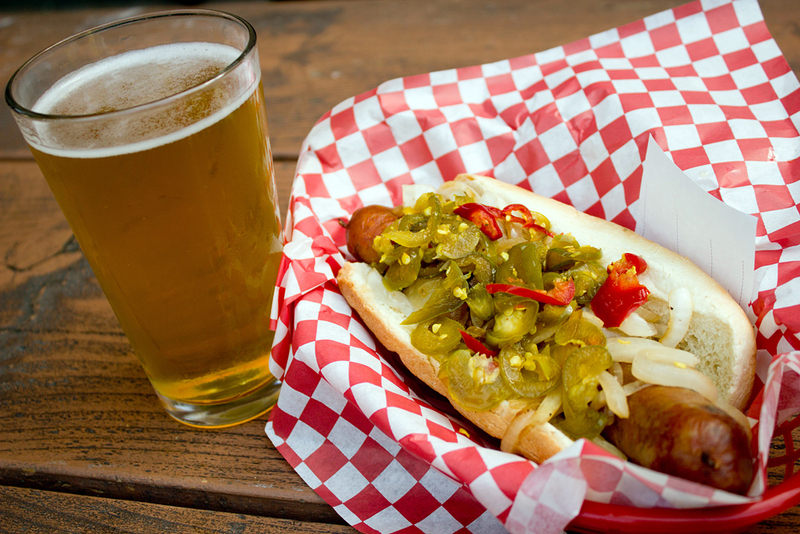 Complementing their beer menu Original Gravity also serves a menu of gourmet sausages with flavors running the spectrum from Texas bratwurst to apricot. A side order of duck fat fries is a must. 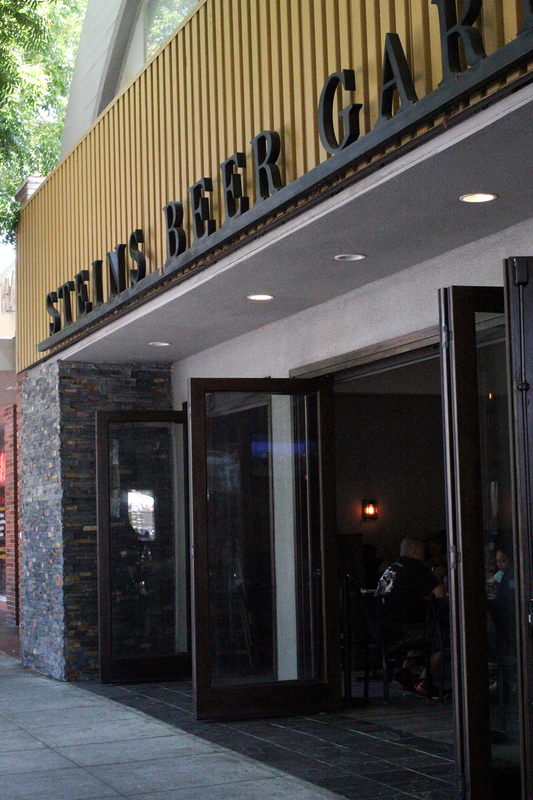 A cool collection of unique beers on draft and a menu of fun cocktails make Steins Beer Garden & Restaurant a popular lunch and happy hour destination in Mountain View. 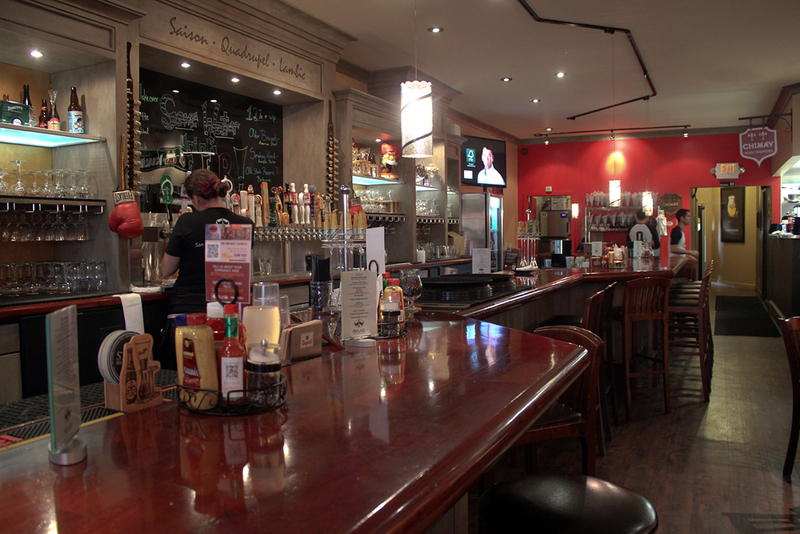 Perfect company to the drink menu, is an offering of American comfort food from Stein’s kitchen. 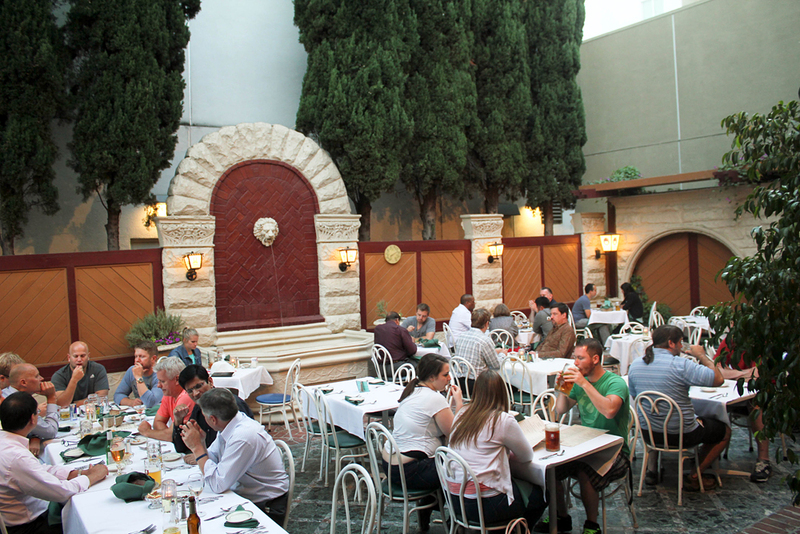 Ample seating can be found in the large, open dining room or outside in the beer garden. 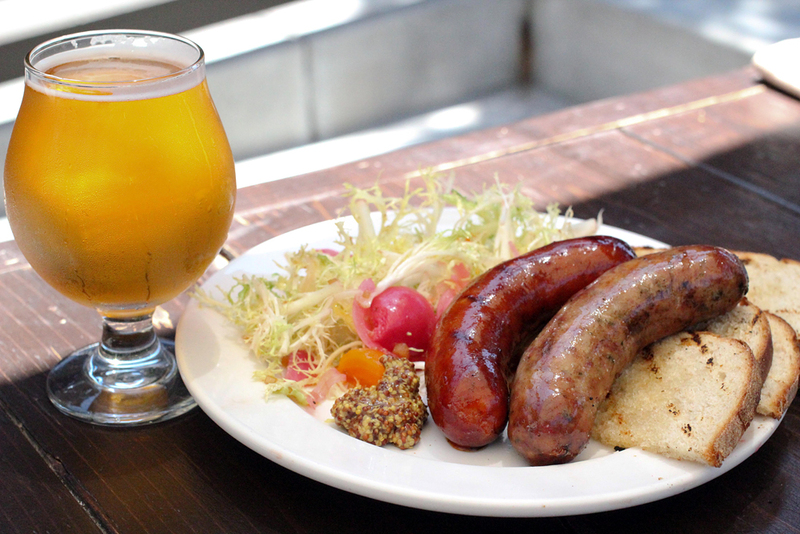 The housemade sausage plate with toast points and whole grain mustard is ideal for keeping your belly full with hearty food between pours. 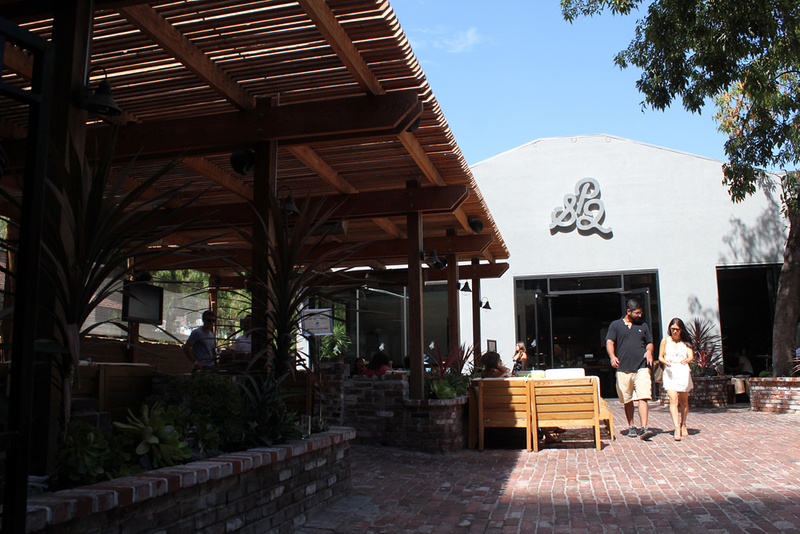 Large communal tables and outdoor seating make SP2 a great place to meet up with friends for drinks, brunch or just because. 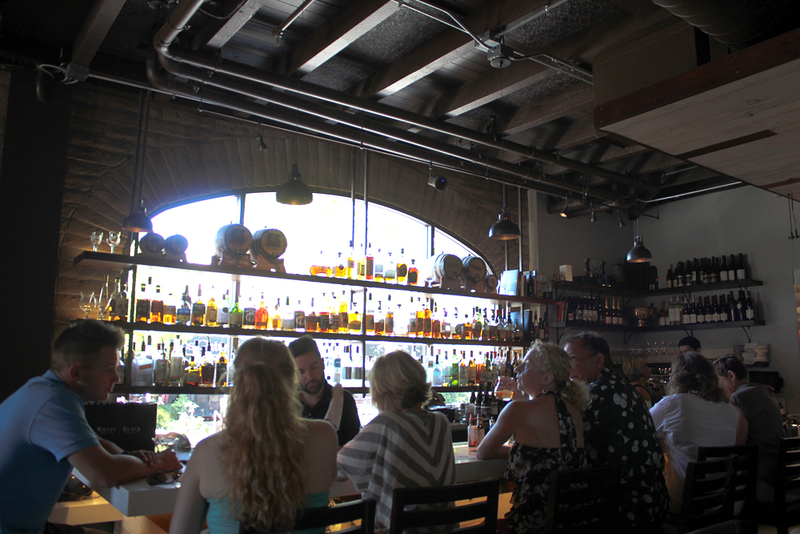 The cocktail menu is a refreshing blend of classic recipes as well as SP2 signature creations. The Moonshiners Lemonade and the Cucumber Basil Gimlet are big hits from the bar menu. 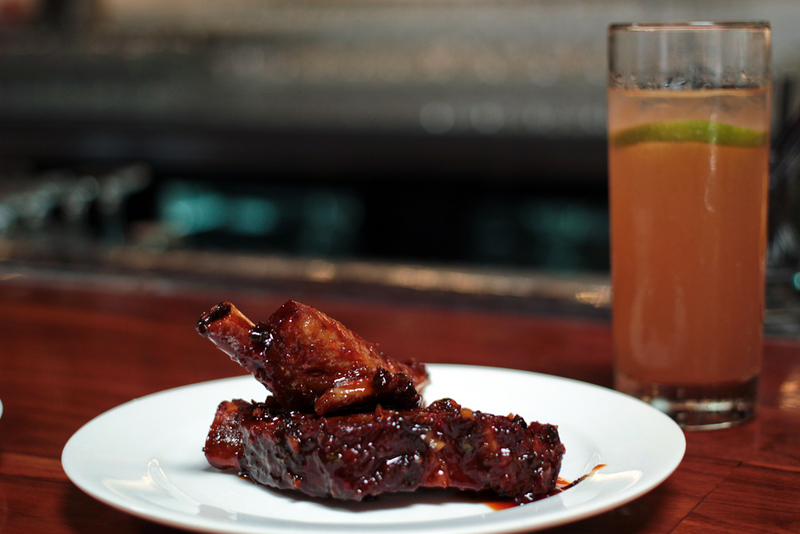 As for food, SP2’s signature dish is the deliciously tender, soy ginger glazed ribs. Happy hour runs daily from 3 – 7pm with and features a collection of small plates for $5 and beverages priced from $3 to $5. 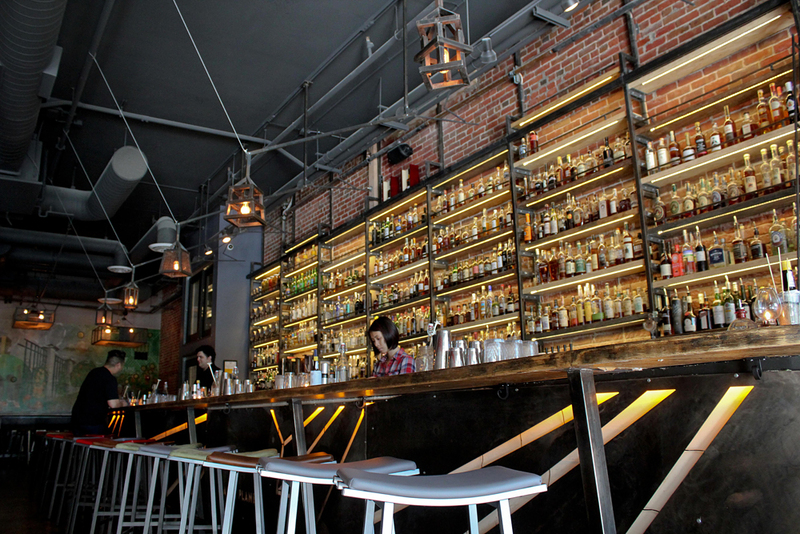 This cocktail house is next-door neighbors to its sister restaurant, Original Gravity Public House. 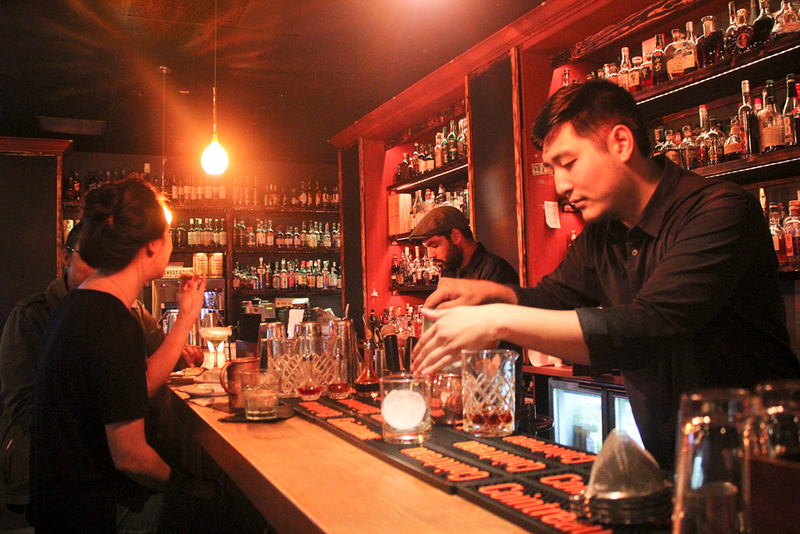 Those who love to discover a new mixology creation will be at home at Paper Plane with the restaurants enormous bar shelf and talented staff, who will happily find something that fits your taste. 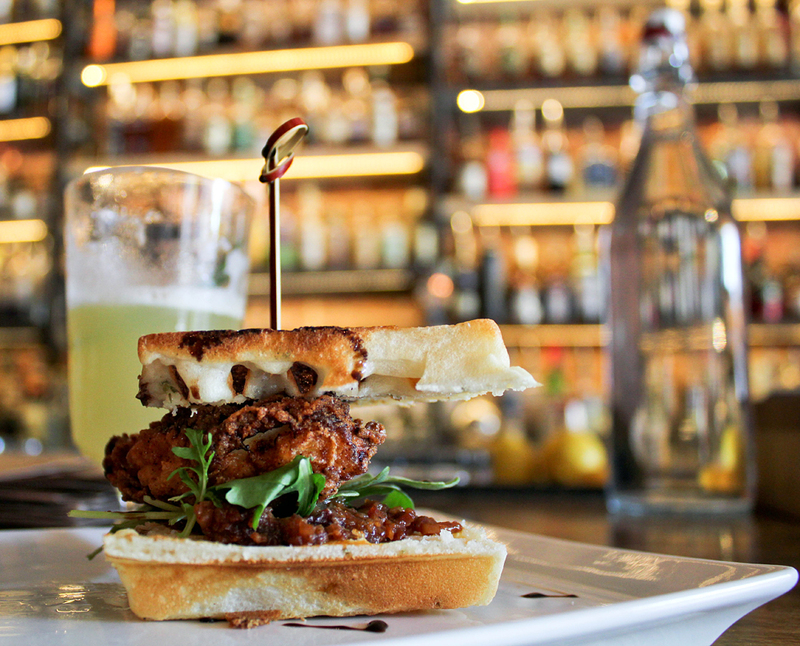 A fun menu of small plates feature dishes great for sharing, including the delicious chicken and waffle sliders with a sweet and spicy bacon marmalade. This list was updated on 4/7/16 from the original list of 15 gastropubs.